Meet your guide a few meters away from the Colosseum, a perfect starting point for tourists discovering Rome. Then, head to the busy Piazza Venezia through the Imperial Forums. Admire the Trevi Fountain, and continue to Piazza di Spagna and Piazza del Popolo. 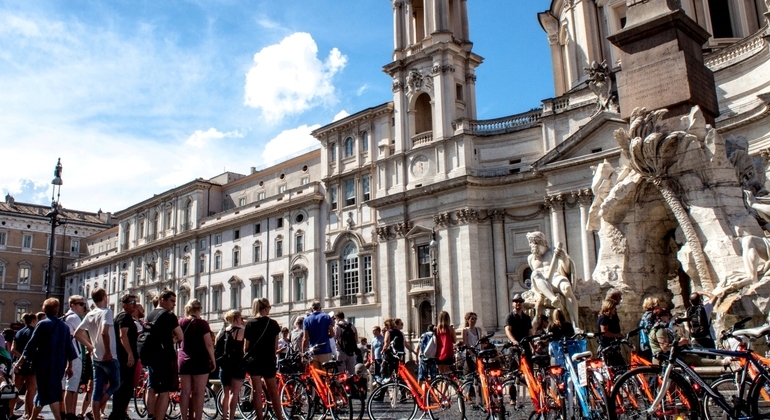 Cycle past the shopping street Via del Corso, and ride though to Piazza Navona. 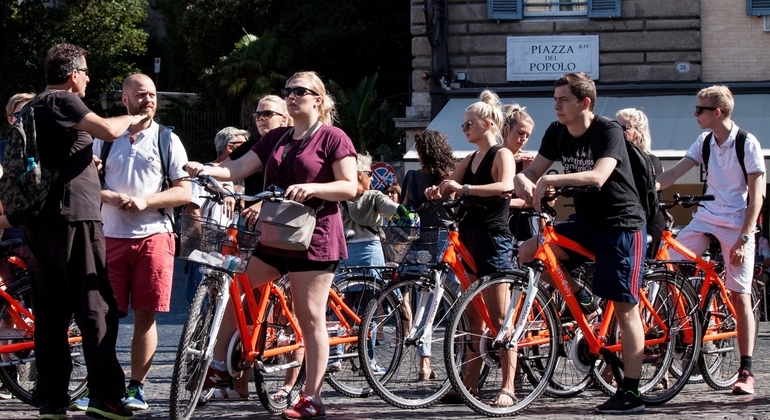 Then cycle through Campo de' Fiori, Rome's historic vegetable market, and cross the river Tiber to Trastevere, unique and popular Roman neighborhood, and back to the Jewish Ghetto and the Theater of Marcellus.